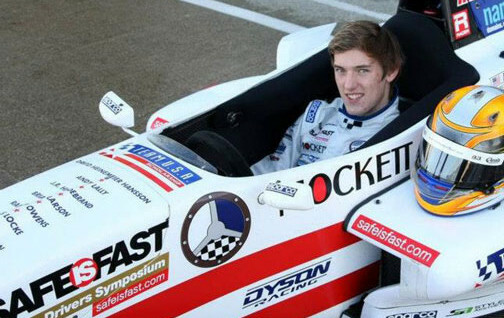 Jeff Zwart will be instrumental in the rollout of a new class for Porsche Cayman GT4 Clubsport at the Broadmoor Pikes Peak International Hill Climb June 24. 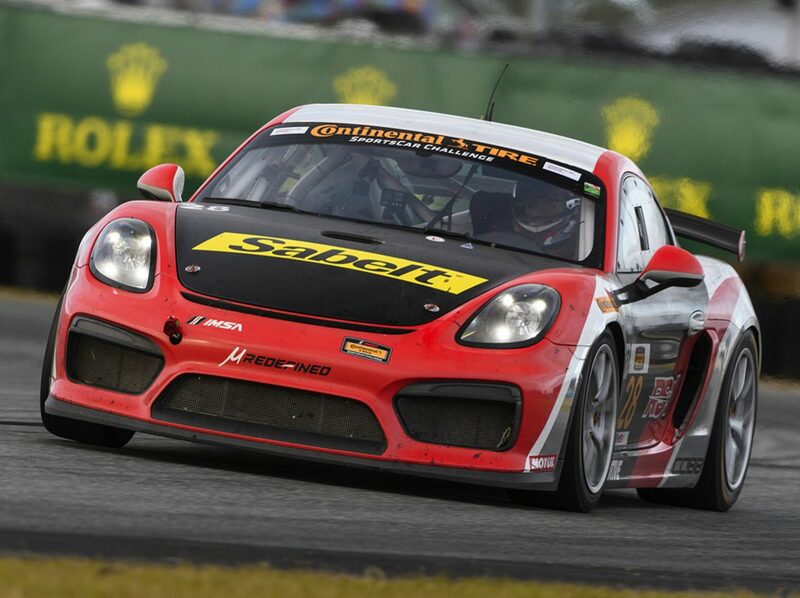 Zwart and defending champion Romain Dumas will represent Porsche Motorsport North America and compete on the weekend. Zwart’s prowess as both a Porsche driver and as a producer of some of the marque’s most iconic commercials, as well as his place in Pikes Peak lore, made him a natural conduit to bring the Cayman GT4 Clubsport class to Pikes Peak. The eight-time champion will be driver coach for the eight invitational participants and will be available before and during the event for all Porsche Cayman GT4 teams and drivers. 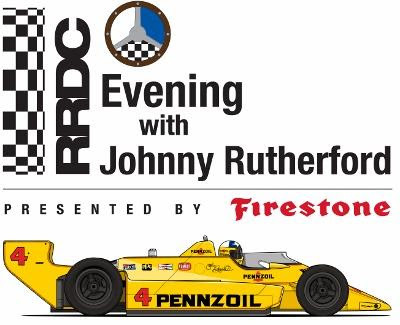 Road Racing Drivers Club President Bobby Rahal cordially invites you to attend the RRDC Evening with Johnny Rutherford Presented by Firestone at the Long Beach Hilton on Thursday, April 12. 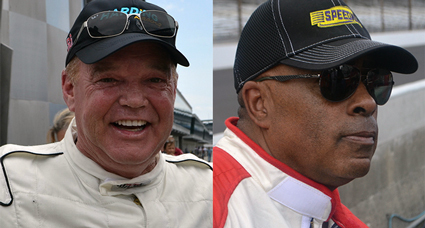 Al Unser Jr. and Willy T. Ribbs have formed a partnership – Unser-Ribbs Vintage Racing – as both are becoming increasingly involved in that genre. The pair were podium finishers in the SVRA’s Brickyard Invitational Indy Legends Charity Pro-Am in 2014 at the Speedway. Unser and Ribbs are entering the fifth running of the Pro-Am during the June 13-17 Brickyard Invitational. Unser-Ribbs Vintage Racing services will include coaching and mentoring, plus dining and recreational activities with the pair. 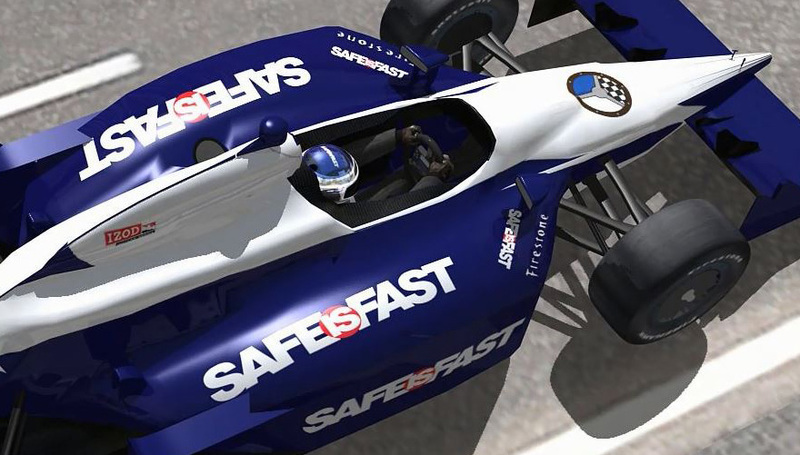 Steve Erickson, a long-time Indy car engineer, is also a partner and will handle the racecar operations. 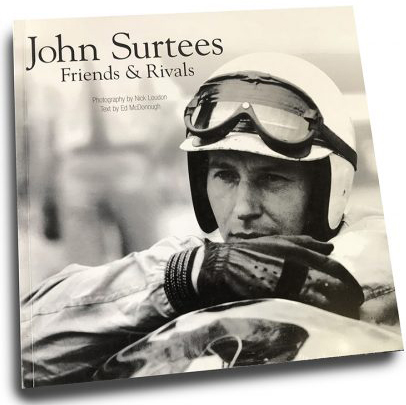 In rummaging through their storage unit, the staff of Vintage Road & Racecar came across the remaining dozen copies of the 2004 Parabolica Publishing limited edition of “John Surtees, Friends & Rivals”. 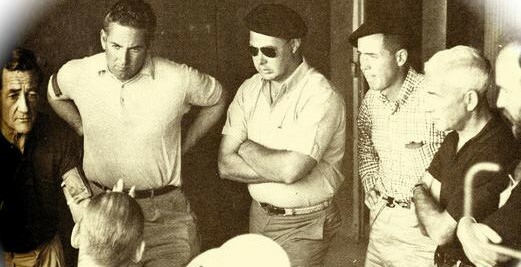 The softbound photographic tribute to Surtees features Nick Loudon’s images from the 1960-72 era, produced in rich duotone with captions by Ed McDonough. Only the 12 copies remain and are a bargain at $24.95. Order now. 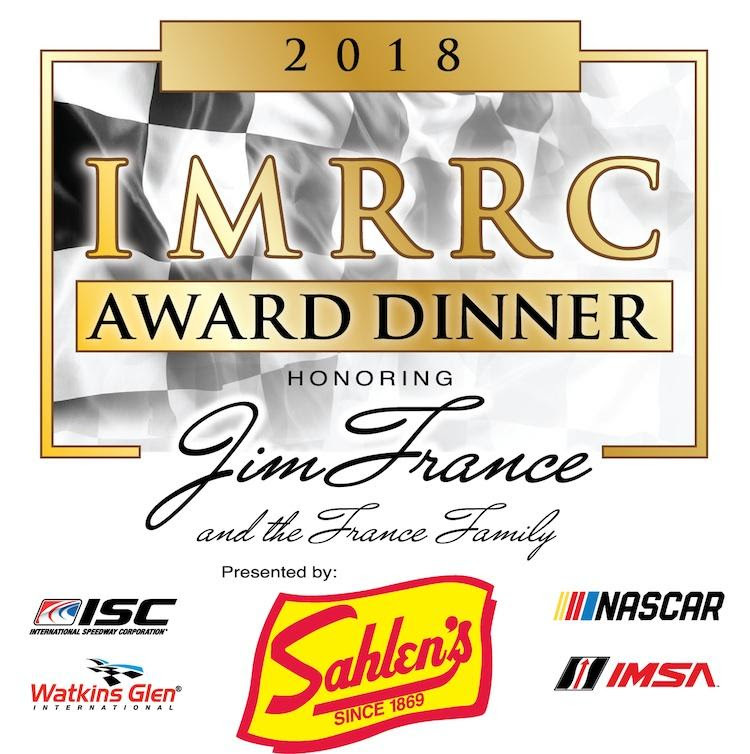 Jim France and the France Family will be honored with the Cameron R. Argetsinger Award for Outstanding Contributions to Motorsports.